Well, one of the things that I had ALWAYS said as a parent that I would NEVER do is buy my kids a car. Why did I feel the need to make this declaration to my children? Well, we live in a fairly affluent suburb (that’s putting it mildly) of a major metropolitan area and we live in an older part of this burb that I lovingly refer to as the “slums.” Our house is 30 +/- years old and does not resemble a small hotel like a lot of the houses in our area. I think it is safe to say that quite a few kids in our burb expect cars on their 16th birthdays so I wanted to make sure and squash that dream completely and swiftly before the poor things had a chance to fantasize about their new rides (remember, my kids are under a dictatorship right now). However, my early edicts about birthday cars have gone unheeded and they still say things like, “When I turn 16, my first car is going to be [insert name of car here].” It’s hard to suppress the dreams of little munchkins, isn’t it? When they would utter those ridiculous words, I had to remind them that neither their father nor I got a car on our 16th birthday and they weren’t either! What was good for us was certainly good for them! Right!? When I was growing up (I also grew up in this burb, but we were not of the affluent nature), I shared cars with my parents and sister. We were a two-car family and there was always one available to drive on the weekends. Also, I had friends with cars (that they purchased themselves! ), so there was abundant transportation available. It worked out and I didn’t waste too much time wishing for a car of my own. 1. We are, in a sense, a one-car family. My husband’s car is a company car and the kids will not be covered drivers (I was just added last year for emergency purposes!). The one car, as you all know, is the Lemon/ Minivan/Taxi (pick your poison). You’re saying, “So, what? 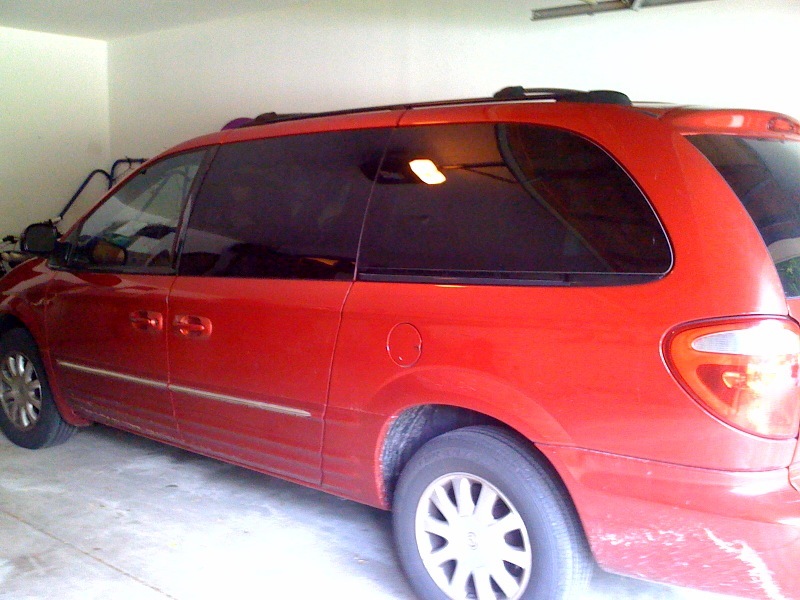 !” Okay, let’s say we just had the minivan available (see pic), am I going to let her take it out on weekends and turn it into a party wagon? (Can you even turn a Town & Country into a “party wagon”? I guess that is debatable.) Not that my daughter is of the Party Girl variety (she really isn’t), but I don’t want her (& her friends) to be tempted. 2. I spend more time in my minivan – more than anywhere else it seems (it is not voluntarily getting a spa day like the Toyota Sienna Mom – see below). When would Rachel have a chance to hone her driving skills? Even after she gets her license (in June), she still can’t help me with carpooling (new drivers can’t have anyone under the age of 18 in the vehicle for 6 months). We would be constantly vying for the van and I, of course, would win (I mean, I am the Mom!). In the environment in which we are raising our kids, it can be difficult to hinder a sense of entitlement (they are surrounded by it). We really want to raise our children with the sense of the value of money, with the awareness that the world does NOT revolve around them and with the thought that they should pay it forward. I felt like I was giving in on the birthday car and I hate giving in! I mean, I’ve been brainwashing them since Rachel was 10 (Maddie was 7 & Jack was 4) that this was not in their futures. I discussed my back tracking/crow eating ponderings with the hubby and we both agreed that buying another car made sense for us as a family with three kids, but we made some guidelines to make us (me) feel better regarding the about-face we were making. 1. It is a 3rd family vehicle and NOT Rachel’s car. It is a car that we have available for her to borrow. 2. She will buy her own gas. We will do regular maintenance on it and pay the insurance on it because it is NOT hers. 3. She will respect the car and the owners (her parental units) by not trashing it (not that she would, but we need to lay down the rules, man!). After driving it around today, I may give her the Party Wagon and take the CRV! I’m not “rockin’ mom jeans” as the Sienna Mom says. 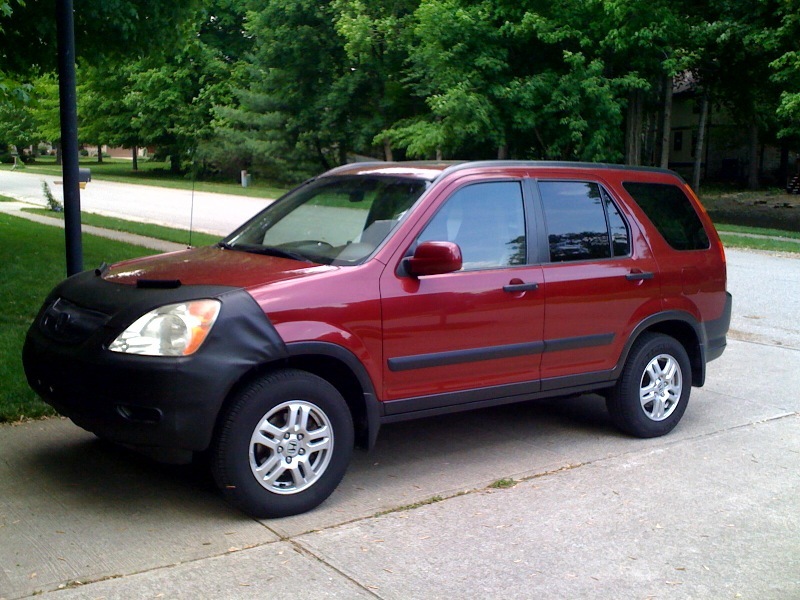 This entry was posted in Everyday Life, Parenthood and tagged honda CRV, minivan, new cars, parenthood, Sienna Mom, sweet 16. Bookmark the permalink.